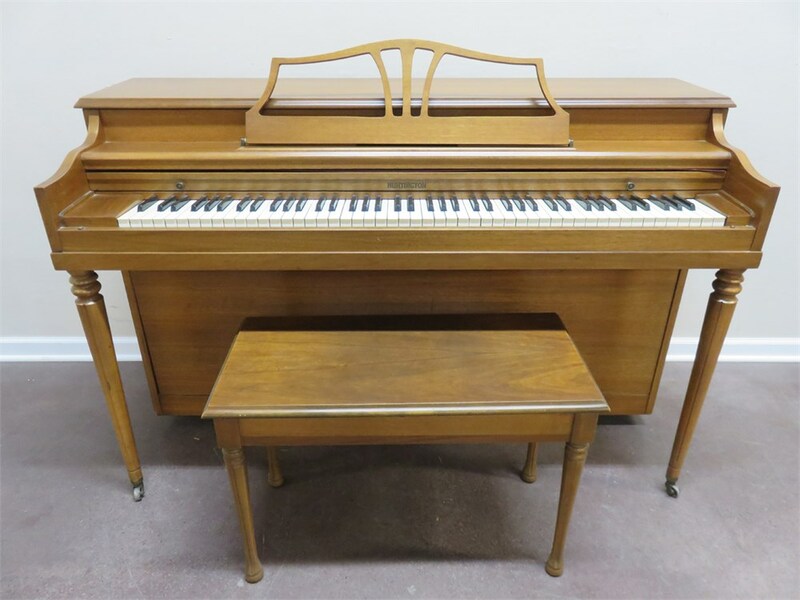 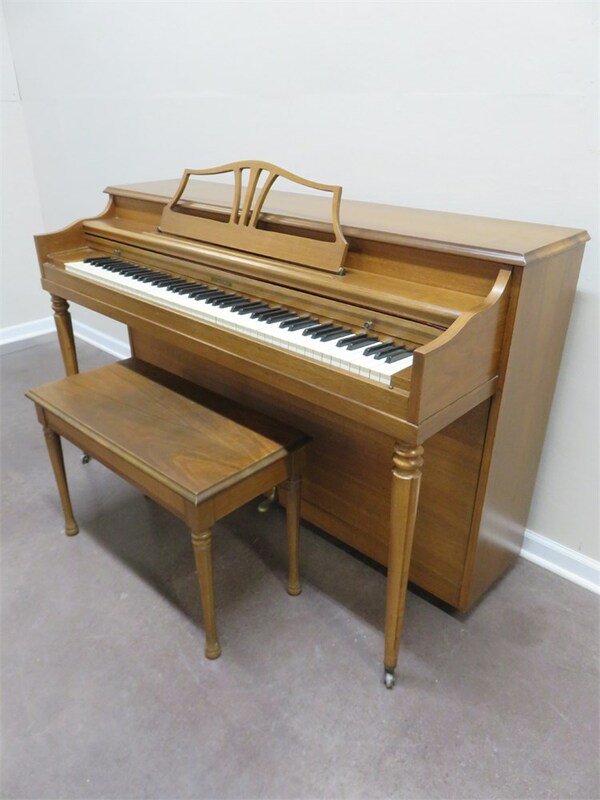 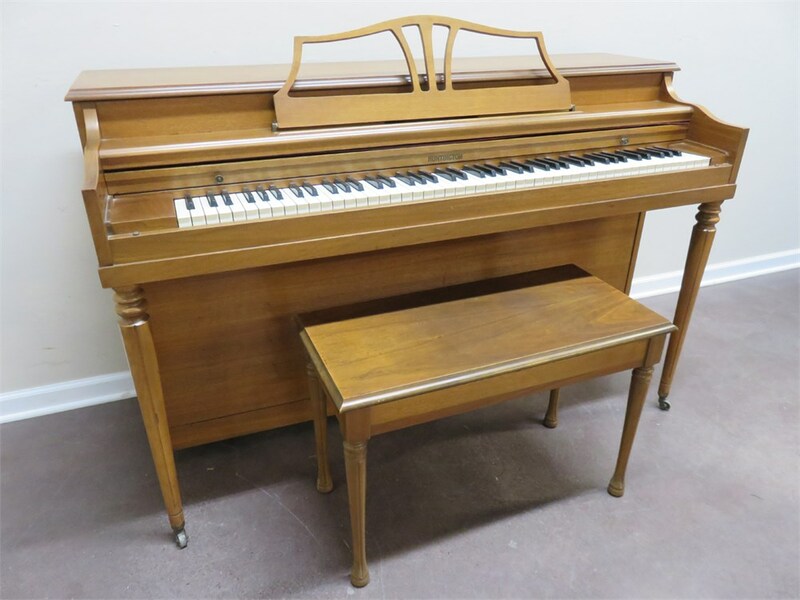 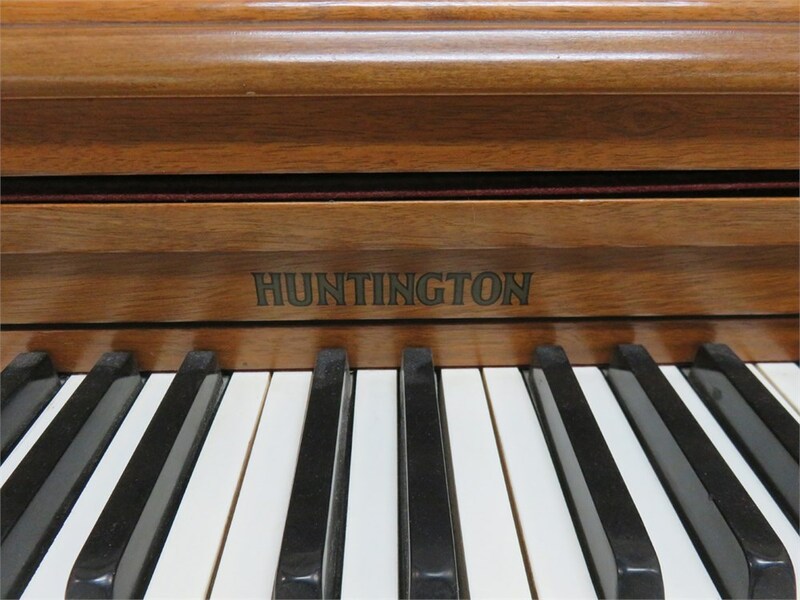 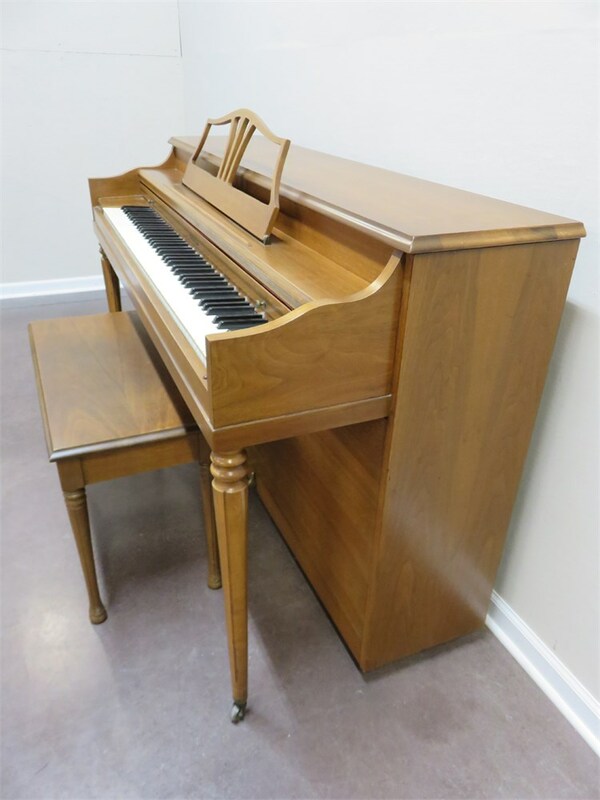 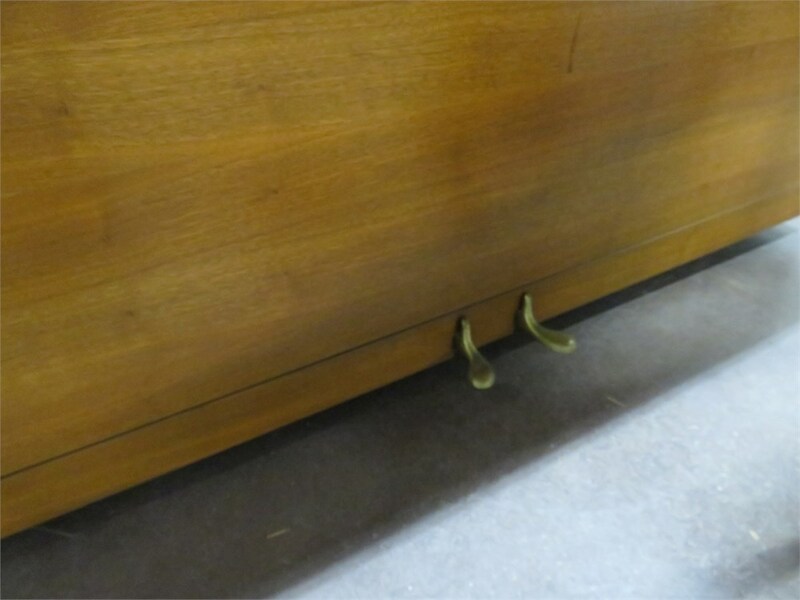 A nice looking Huntington upright piano with bench. 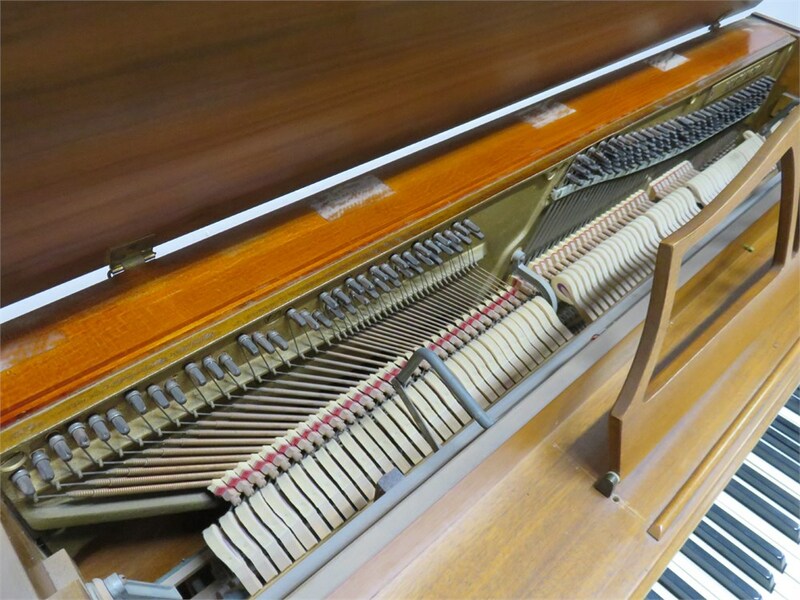 Appears to be in good working condition but may need to be professionally tuned. 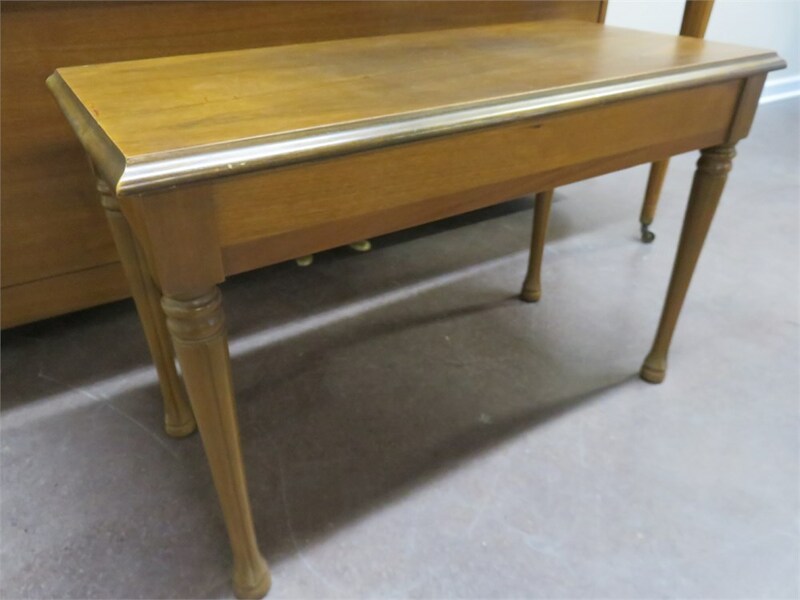 The exact age is unknown.